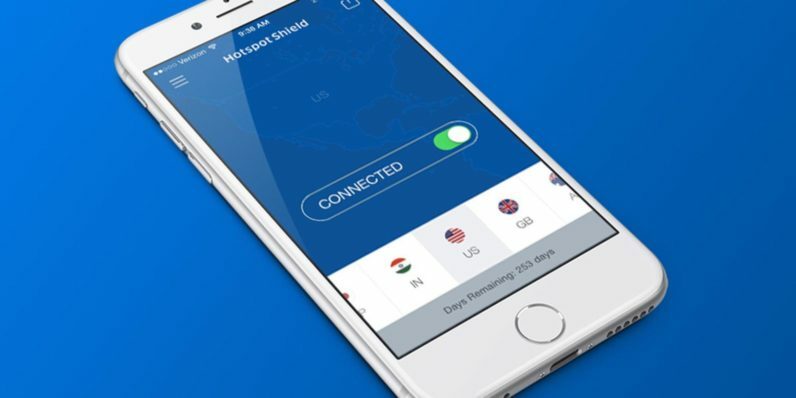 When it comes to choosing from the many virtual private network (VPN) options on the market, Hotspot Shield Elite VPN is the clear winner. You can join over 400 million downloads of Hotspot Shield’s premium network security, anonymity and access, with a lifetime subscription to Hotspot Shield Elite VPN for just $49.99 from TNW Deals. Hotspot Shield Elite works by routing your activity through private servers, safeguarding your sensitive data from hackers and snooping eyes. You’ll get your choice of over 20 locations worldwide through which to do so. But unlike other VPNs, it does all this without sacrificing internet speeds. And you’ll also enjoy full access to geo-blocked content. Keep up with your favorite shows on premium service options such as Netflix and HBO, as well as games and social media activity anywhere in the world. Thanks to Hotspot’s advanced encryption technology and cloud-based malware protection, you’ll get the all-encompassing privacy you crave — even while on public Wi-Fi. You’ll also receive immediate alerts when visiting suspected malicious or phishing websites via AnchorFree’s database of more than 3.5 million malicious sites. Enhance your security with the world’s most highly-trusted privacy solution. Get lifetime access for 49 percent off from TNW Deals.